After five years performing and releasing records with Americana super group Willie Sugarcapps, and his band with Tommy Womack, Daddy, acclaimed musician and producer Kimbrough has put his solo-artist hat back on. Album is a love letter to the South — and a prayer for a better future. 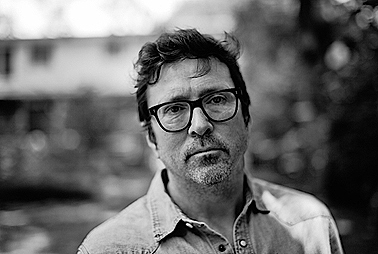 NASHVILLE, Tenn. — It’s good to be Will Kimbrough (if you can stand the hours). He’s respected — make that revered— as a guitarist, as a producer, as a touring singer-songwriter, and here he is, in 2019, an Americana artist, finding some serious success and acclaim in the blues world. Believe it or not, he’s not bragging. He really does all those things andhis part time gig is as Emmylou Harris’s guitarist and harmony singer — before that he was Rodney Crowell’s, and before that, Todd Snider’s. And damned if he didn’t go ahead and carve himself a successful solo-album career during all this other stuff that he was doing. With seven or eight or nine solo records and multiple releases as a member of Willie Sugarcapps and Daddy, Will’s career continues to grow. It is the little engine that will not rest. 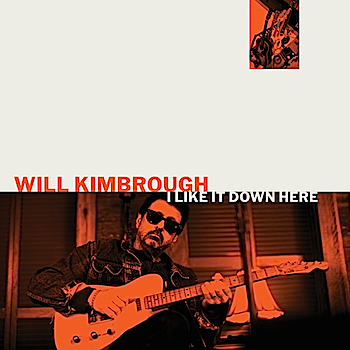 Will Kimbrough’s new album, I Like It Down Here, slated for April 19, 2019 release on Soundly Music, deals a lot with his home region, the South, and his roots there: the place where he knew the shortcuts to get to every gig, where he’d had a great upbringing in Lower Alabama with a close family, where he first caught on as a guitar-blazing 16-year-old pop-rock wunderkind, where the last public lynching was in 1981, and where Confederate flags fly from homes not infrequently to this day. He doesn’t sugarcoat these sentiments on the record, or even separate his conflicted views. The title track, “I Like It Down Here,” is in the voice of a white-trash gentleman joyously endorsing waking up at one in the afternoon and popping the first Bud Light of the day. This happy (or at least ironic) tune is followed by the sparse “Alabama (For Michael Donald).” Mr. Donald was the victim of that last public lynching, in 1981, and perhaps on that same night Will’s band at the time, Ground Zero, was playing Buzzcocks covers somewhere in a state that had been kinder to them than it had been to so many. The lyrical tension is always there, whether in the beautiful moment of your feet in the gulf in “Salt Water & Sand,” or in “It’s a Sin,” as in, it’s a sin to kill a mockingbird. You fill in the rest. Let’s not forget that this is a record, not a pamphlet, and not a treatise on a divided state. It’s a record, with love songs and fun songs, and it’s one of the best of Will Kimbrough’s long and illustrious career. The thought-out arrangements and spartan production make the songs grow, verse after verse, and the intensity builds up, with brilliant instrumental entrances and exits, yet at no time does a song lose its laser-like focus on Will and his guitar. And no song overstays its welcome. This is a 10-song album. (And they’re not long songs.) Designed for the vinyl generation, whether young or old. Abundant chops aside, Will has never been a show-off on guitar in the studio or onstage; he’s always served the song. And you want to get lost in the tunes anyway — there is a pop taste of the best music he wrote for his first Will & the Bushmen album. His love songs are either sweet as key lime pie or cutting to the bone. The instruments give a wide berth for Will’s impeccable voice — his band the Red Dirt Boys don’t play a note that doesn’t need to be there. This is a spare album with nevertheless tremendous moments.